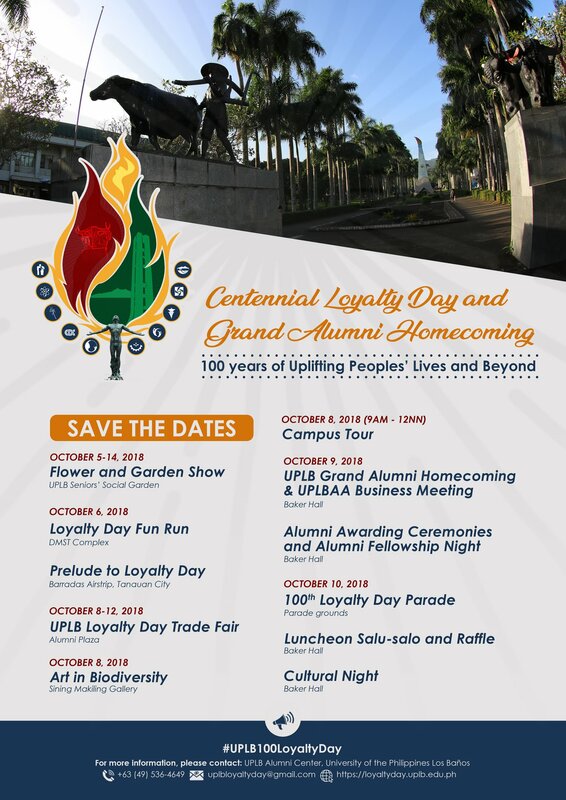 More exciting events await the UPLB alumni during the Centennial Loyalty Day celebration on Oct 10. In fact, the days prior and until December, events will be held to celebrate the momentous occasion that has been known as Loyalty Day and has become a time for UPLB alumni to congregate at the University for their homecoming. The celebration’s culmination is the colorful Loyalty Day Parade on Oct. 10, Wednesday, at the Freedom Park. The LB community will witness a show of unity as schools, universities, government, non-government, and international organizations, the private sector, and student organizations join in the Parade. Other parade attractions are also expected to be additionally featured this year. Jubilarians, or those who graduated in the years ending in 3 and 8, with members of Class 1968 as the Golden Jubilarians, are this year’s honorees. A luncheon salu-salo and a cultural night will follow after the parade at the Baker Hall. On Oct. 9, two major activities will unfold at the Baker Hall: the UPLB Grand Alumni Homecoming and the UPLB Alumni Association, Inc. (UPLBAA) Business Meeting at 8:30 AM; and the Alumni Awarding Ceremonies and Alumni Fellowship Night that will start at 3:00 PM. This year’s celebration is made even more special with new activities intended for a meaningful celebration. On Aug. 30, the UPLB Centennial Loyalty Day Music Competition will be held to choose the official Loyalty Day theme song that should reflect the theme “100 Years: Uplifting People’s Lives and Beyond.” Seven finalists will perform their entries to vie for the coveted prize and recognition to have composed and sung the winning song at the REDREC Auditorium. On Oct. 6, the Loyalty Day Fun Run “Takbo Para sa Katapatan” or TAPAK will be held to promote physical fitness and appreciation of the ROTC program. Details are posted on the official Facebook page of the organizer, the UP Vanguard, Inc.-Los Baños Chapter. Run Mania Philippines Promotions, Co. is a co-organizer of the fun run. On Oct. 8, a campus tour will be held for alumni who wish to revisit selected places in the University. Interested visitors may e-mail uplbloyaltyday@gmail.com until Sept 30 for reservations. The same day at 4 PM, the Office for Initiatives in Culture and the Arts will open the exhibit called “Art in Biodiversity” at Sining Makiling Gallery, DL Umali Hall. It will feature various artworks that focus on biodiversity until December. Meanwhile, on Oct. 8-11, the Business Affairs Office will hold the Loyalty Day Trade Fair at the Alumni Plaza near the Carillon Tower. It will showcase local products of small- to medium-scale entrepreneurs and will host a job fair, financial literacy seminar, and cultural show. 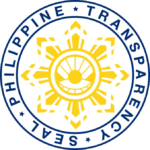 Staple Loyalty Day activities, the Flower and Garden show at the Seniors Social Garden will be held on Oct. 5-14 and the Prelude to Loyalty Day on Oct. 6 at the Barradas Airstrip in Tanauan, Batangas. Loyalty Day dates back to Oct. 10, 1918 when 193 students and 27 faculty members of the then UP College of Agriculture enlisted with the Philippine National Guard to fight for the Allies during World War I. Immediately after, the War ended and the volunteers were spared from the battlefields. This voluntary spirit has since then served as a reason for the UPLB alumni to congregate and celebrate every Oct. 10. The Office of Alumni Relations, the UPLBAA, and the Golden Jubilarians spearhead the Loyalty Day activities.